When you are in need of buying a new Refrigeration or HVAC System, servicing or maintaining your current Refrigeration or HVAC units, Maass Refrigeration Service, LLC is the company to call on. We provide sales, service, installation and repair of all types of Commercial Refrigeration and HVAC systems. We carry top name products including Heatcraft, Copeland, Tecumseh, Manitowoc, Hoshizaki, Goodman, LG, Trane, Carrier, GE, Anthony and Vollara. Commercial Refrigeration applications are often very unique from Walk-in Freezers and Coolers, Chillers, display cases, reach-in cases to ice machines and Self-Contained Units, so choosing a reputable service company is just as important as choosing the high quality brand you purchased or are purchasing. Maass Refrigeration is the Company, with its many years of experience in servicing and maintaining Refrigeration systems. Our experience in the Commercial and Industrial field allows us to perform a variety of Maintenance Programs to meet our Customer’s needs. We understand how critical it is to keep all Equipment operating as efficient as possible. We offer Maintenance Programs to suit a variety of needs from Refrigeration Equipment, RTU’s, Chillers, Furnaces, Boilers, and Air Conditioners. We offer priority service for our Service Contracts 7 days a week. Our Maintenance Programs can be tailor made to fit your needs depending on the size and quantity of your units. For most equipment owners, two check-ups per year is adequate and our basic program should be sufficient if you change your own filters. We offer more extensive Programs for our Commercial and Industrial Customers with more Equipment. For our Refrigeration Customers, verify your Refrigerant charge, leak checking, replacing Liquid and Suction Filters as needed and verifying your Controls. We can design a program to fit your maintenance needs as well as your on call service! Maass Refrigeration Service is ready to provide Quality Service at a Great price. Our loyal customers have already started spreading the word about our quality and comprehensive service. Why not let us provide you with the same quality service and worry-free maintenance for all your refrigeration, heating and cooling needs! With new high efficiency HVAC systems and commercial units, it doesn’t cost as much as it used to and the systems work better and are warrantied and built to last. 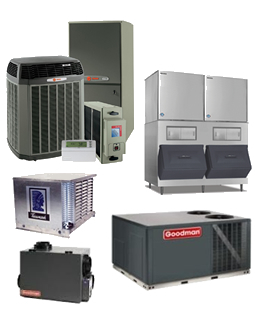 We service and install all major air conditioning and heating brands including Lennox, Trane, Carrier, Goodman and several other brands, but we always use the best quality HVAC systems at affordable prices. Our Service Department is ready to service your needs. Maass Refrigeration Service, LLC provides 24 hour-a-day, 365 days-a-year emergency customer service support. If you have an emergency, please call us at (920) 206-2694 and we will return your call immediately. Maass Refrigeration is committed to providing Installation and Service for your Freeze Drying Business. Fabrication of piping, setup, and Controls are what we specialize in. Contact us today for a free Estimate! 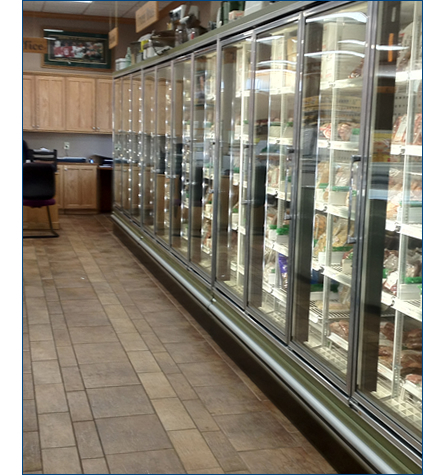 Maass Refrigeration now offers great pricing with Anthony LED Light Retrofits for your Grocery or Convenience Store. Contact us today for a free Estimate. LED Lights are designed to replace traditional fluorescent lighting fixtures in vertical refrigerated and freezer food and beverage display cases in Convenience and Grocery Stores. Convenience and Grocery store managers KNOW they need to replace traditional fluorescent lighting in their refrigerated display cases with LED-based lighting modules. Why? Because of LED lighting's many advantages - Reduced Energy Consumption, Extremely Low Maintenance, and Elimination of Hazardous Waste Issues. Looking for ways to reduce the cost of your LED purchase? DSIRE (Database of State Incentives for Renewables & Efficiency) is a comprehensive source of information on U.S. state, local, utility and federal incentives and policies that promote renewable energy and energy efficiency. Another great Energy Savings for the Customer is upgrading your PSC Motors to new advanced ECM Motors. Increase profitability and reliability immediately. ECM Motors also run quieter and help control a Systems airflow better. Our Service vans are stocked with ECM Motors to upgrade on-site immediately. Many of our customers prefer to upgrade to ECM when we diagnose a failed PSC Motor. Our Controls Technicians/Installers provide the most modern Technology for controlling your Commercial/Industrial HVAC or Refrigeration. Controllers/BACnet Devices are designed to control HVAC and other Equipment. These provide many options and advanced system features that allow state-of-the-art Commercial Building control. Each Device is programmable and configurable through Software and networking. Our Powerwashing crew provides quality cleaning to increase the efficiency of your Condensing Unit. Dirty Coils mean more run time, increased Temps on Compressors and Motors, and excessively high Head Pressures. We use Eco-Friendly Cleaner for your environment. Call us today to schedule! With two Refrigeration Racks and many systems we cannot have any of them go down. It is vital to our business that they are running continiously and efficiently. We know we can count on this because Maass Refrigeration Service provides timely service and maintenance always. We have been impressed with Maass Refrigeration Service due to their professionalism and attention to detail as well as their knowledge of our equipment. Thank you. Maass Refrigeration Service has been a reliable company maintaining our refrigeration equipment over the years and we appreciate their professional approach to assisting us with our business. If you are looking for a professional, reliable refrigeration company, Maass Refrigeration is that company. They have been there for us no matter if we needed new equipment or maintaining the equipment we already had. Great company to work with.